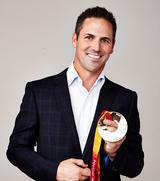 Spring Texas native, former world champion and Olympic gold medalist in speed skating. During a period of skating challenges that included injuries and numerous coaching changes, Hedrick made a commitment to living his life as a Christian and share the message of God to others. Hal has dedicated his life to helping the nation's best teacher and school reach a new level of excellence. 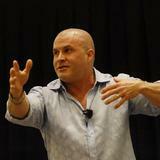 Through his "Teach like a Rock Star" workshops, he has captivated tens of thousands of students for the last decade. Rev. 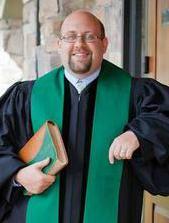 Rhett Ansley is in the 5 th year as Senior Pastor at Wildwood United Methodist Church. He is married to Miranda and they have three children– John Andrew (13),Ella (8), and Ethan (5). In his spare time Rhett enjoys traveling, music, and shuttling kids to and from events. Dr. Ed Seay has been in ministry for over 5o years. 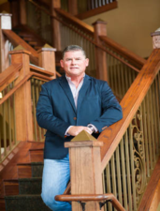 He is currently the Senior Pastor at Magnolia's First Baptist Church in Magnolia, Texas serving the past 28 years. Throughout his past 50 years in ministry, he has had ongoing involvement in the community serving on committees and as a board member in different capacities. Dr. Seay has also traveled worldwide leading and implementing various evangelistic projects. Rev. 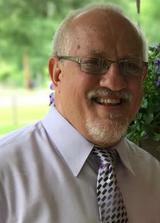 James Polnick has served in multiple ministry posi-tions in the local church for over 20 years. 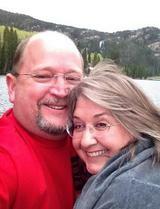 In 2009, he planted Life Pont Church located in Magnolia, TX where he currently serves as the Lead Pastor. Rev. James has heart to reach the unchurched with the message of the gospel of Christ. 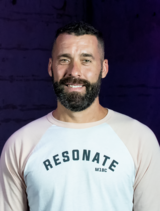 Brent began his ministry as a Youth Pastor for 7 years in The Woodlands, Texas and then bacame Associate Pastor at First Christian Church in Long View, Texas. 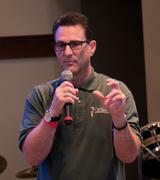 Brent became a minister at The Woodlands UMC in 2015 and was chosen to launch the expansion of TWUMC, Woodforest Campus. He currently is the pastor at The Church at Woodforest in Montgomery, Texas. Kenny Martin is a former Houston Police Sergeant who worked for the Houston Police Department for over 17 years. After experiencing God’s powerful presence throughout his career, life, and faith journey, Kenny felt called to ministry. 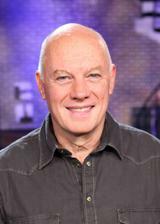 In 2004, he became Senior Pastor of Upper Room Fellowship Church in Magnolia, Texas. He also serves as Chaplain to all the Police Officers at Upper Room Fellowship. Tierce Green is a speaker, consultant, and writer. He has created leadership training content and other curriculum for LifeWay, Student Life, and The North American Mission Board. 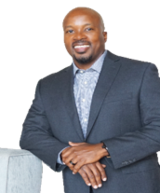 Tierce is the founder of Authentic Manhood Houston where he is building a network of men in the Greater Houston area and beyond. He is also a Pastor at Church Project in The Woodlands,Texas. 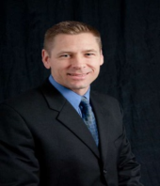 Pastor Eric J. Anderson is the founding and Lead Pastor of Global Outreach Community Church. 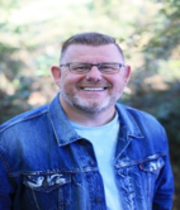 Pastor Eric Anderson has served for 12 years in various leadership capacities for the Fellowship of Christian Athletes and is currently the Southwest Regional International Coordinator. Ricardo McDonald was born in St. Mary Jamaica, but grew up in Paterson, New Jersey. He overcame his childhood affinity for cricket to craft a successful and fulfilling NFL career. McDonald played linebacker from 1992-2001 for the Cincinnati Bengals, Chicago Bears and Denver Broncos. Now that he's retired from the NFL, he's a motivational speaker helping to mentor younger players in thr NFL. He is currently the Houston Texans Ambassador. Gary Hefner is the Unit Director at the Magnolia HEB in Magnolia, Tx. He has been a H-E-B veteran for over 21 years. Gary partners and supports many local community organizations including Suit Up Minis-tries and Wildwood United Methodist Church. 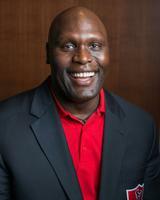 Kendrick Skipper is the Owner of Chick-Fil-A and Direc-tor for Magnolia Parkway Chamber. 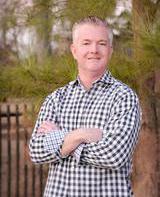 He has served as a board member for the Greater Magnolia Chamber of Commerce and Boy Scouts Orion District V.P. Wade Hopkins has served with Fellowship of Christian Athletes for more than 14 years, and previously worked as FCA’s Greater Houston Multi-Area Director. He currently is the VP of Field Ministry where he oversees ministry development and spiritual support for FCA volunteers in 3 states. 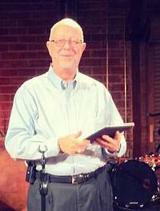 Larry Edwards has served in pastoral ministry since 1973 and at Magnolia’s First since May of 2007. Larry has been the Senior Pastor at multiple churches throughout the Houston area in his 45 years of ministry. Larry also started and leads the Fresh Start team at Magnolia’s First, a benevolence ministry that mentors and aids hurting families in the community. 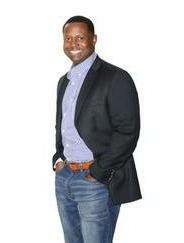 Tyrone Smith is a nationally recognized lecturer, motivational speaker, published author, and former NFL player. After retiring from playing professional football, Tyrone dedicated his life to helping youth and young adults score in life by obtaining the tools needed to enhance academic, social, and moral development. 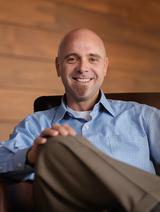 Jesse Hardy is an Associate Pastor of Adult Discipleship at Magnolia’s First. He has pastored at Magnolia’s First for nearly 20 years. As foster parents he and Rachel have care for nearly 20 children in their home and have adopted 3 through the foster care system. They both have a passion for others to come to realize the plans God has for their lives. 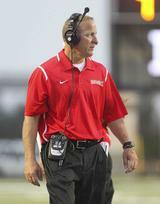 Steve Svendsen is a South Dakota native, is entering his 33rd year of coaching football this fall. Svendsen has used the foundation of his faith as a platform to share the message of Jesus with all that he associates with. 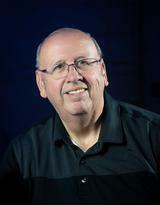 He has been associated with the Fellowship of Christian Athletes since 1992 and has been a ‘Huddle Leader’ at every high school he has coached. Steve Ray has been married to Holly for 27 years and has 2 adult sons, Austin (married to Eleanor) and Tyler (4th year at Sam Houston State). He has been in full-time ministry most of his adult life, but also spent seven years in computer support for Fleetwood Retail Corp in Houston. 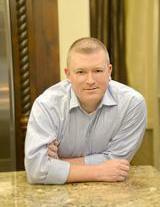 He has served on the staff of Magnolia’s First Baptist as the Worship Pastor since 2005. He loves traveling with Holly and enjoys hiking and camping. Born in Cuba, Ulises' family migrated to Spain and eventually the U.S. settling in Houston. 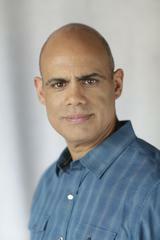 As an entrepenuer in the restauant business and filmaker (www.strongermovie.com) Ulises uses his gifts to honor and glorify God. He is also a father to three boys and an adopted daughter. Jake Prince is the Texas Director for The Fellowship of Christian Athletes Rodeo. He is passionate about being a disciple and follower of Jesus Christ and sharing the gospel with others. He is a husband and father to 3 beautiful children.